My name is Alena Mudrochova. And I love wooden toys. I would like to introduce you beautiful wooden toys mostly hand made, made directly in Czech republic. 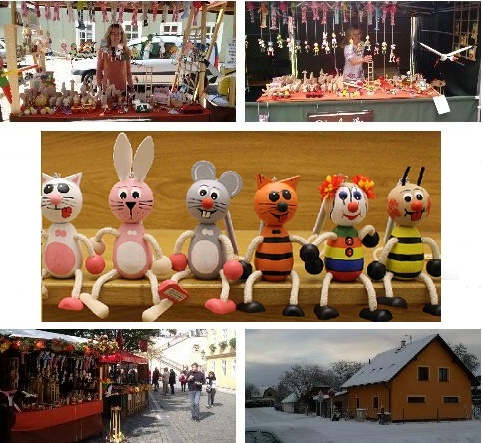 In Czech republic you can find here many producers of woode toys. One of them is my dad, Josef Pavel. He has a family company, which designs and produces wooden toys. In our sortiment you can find pull-along toys, original hand-made money-boxes, flying toys, jumping toys, didactic toys, games, self-walking animals and also hand-made fabric toys and soaps.